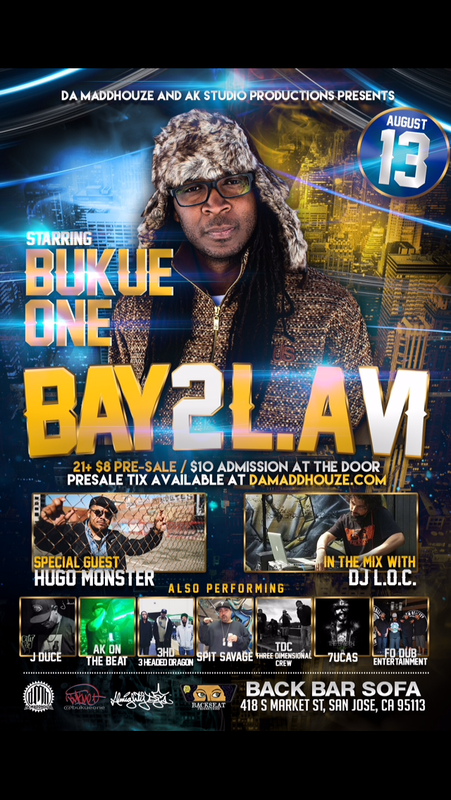 Da Madhouse and AK Studio productions Presents Bay2L.A. Starring Bukue One and Los Angeles Artist “7ucas”, who just released a new mixtape “The Sketch”. Other performers include J Duce, AK on the Beat, 3HD, Spit Savage, T.O.C., Fo Dub, and many more. Special DJ Set from DJ L.O.C.